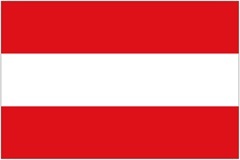 VIENNA, Austria – Bike sales in Austria turned around last year, compared to a disappointing 2013. Due to a rainy summer Austrians bought 6.8% fewer bikes in 2013. Better conditions in 2014 boosted sales again with a 5.1% increase. Also in Austria, e-bikes were outperforming all other categories. In Austria the annual sales of 400,000 new bicycles is considered to be THE benchmark. Below or above this total is the difference between a bad or a good year. Looking at sales in 2014 one could say it was a reasonable year, because with 401,300 bikes sold, the total was just over that mark. 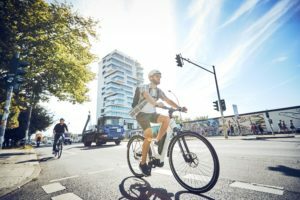 The Austrian sporting goods industry association VSSÖ determined that just over 400,000 new bikes (including e-bikes) were sold in Austria in 2014. Since last year the country’s two-wheeler importers and manufacturers’ association Arge-Fahrrad – a subsidiary of Arge Zweirad – is operating under the roof of VSSÖ. This is caused by the fact that a big part of bicycle sales in Austria takes place at sporting goods retailers. 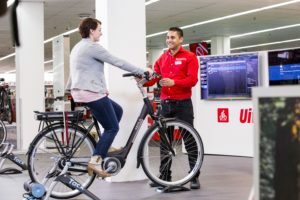 In its 2014 report VSSÖ stated that the 5.1% sales growth is thanked to, “Increases in almost each bicycle category.” However, e-bikes scored the biggest growth. This category shows continued sales increases since 2012 and again recorded a big jump in sales in 2014. Over 50,000 electric bikes were sold in Austria last year; up 16.3% compared to 2013. With that e-bikes now hold 12.5% market share in units, while in turnover this stake is estimated at over 35%. With 148,900 units MTBs are still the number one category in hilly Austria; 2% up on the 2013 total. Trekking bike sales dropped 3% to 61,800 units with which this category is still the 2nd biggest. They are followed by offroad bikes (mountain bike-look-a-likes), with 50,900 units – a 1.2% rise in sales. The total number of e-bikes sold is very close to the total of the offroad category. It is said that e-bikes will not only become bigger than offroad, but will eventually also overtake the Trekking bike total and become the 2nd biggest bike category in Austria. “When looking at e-bikes we are no more talking about a trend. It’s a stable and steady growing market segment. What we see is further ongoing technical advances. 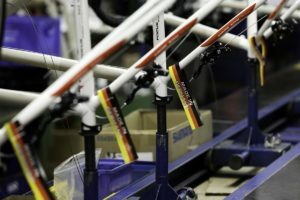 This will keep the interest up and sales rising,” said Thalinger-Lange GM Fred Schierenbeck, speaking in his role as head of Arge-Fahrrad. While IBD’s average sales price reached €990, the consumer paid on the average only €490 euro at the sporting goods channel. 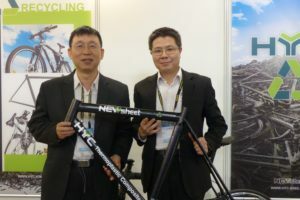 The difference lies in the fact that high-end e-bikes are mainly sold through IBDs, while the sporting goods sector is more focused on entry- to mid-level bike sales. For 2015 Schierenbeck awaits an ongoing positive development. 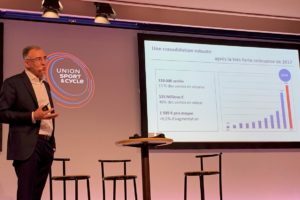 “Next to the growing e-bike sales the general urban mobility topics will keep bicycle sales alive as well,” Schierenbeck said. “Eye-catching designer- and city-bikes are not just transportation-only products but a lifestyle and status symbols. This is even pushing sales of the classic city bike category.